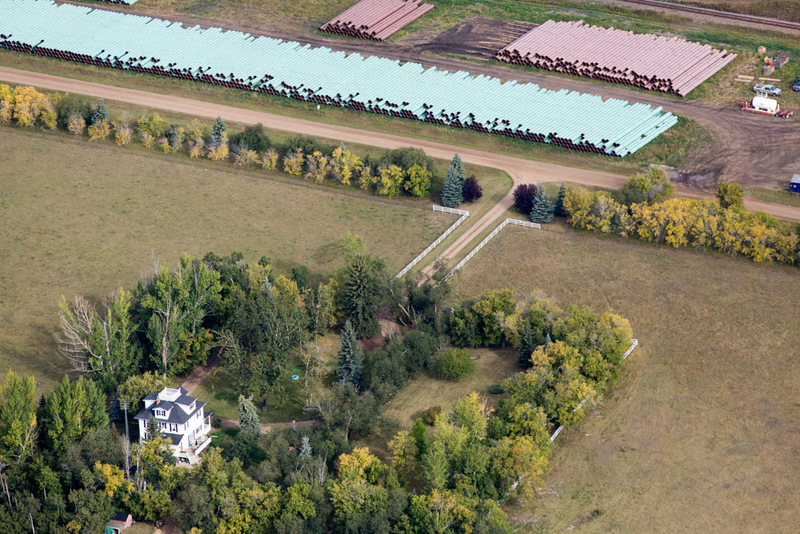 Sections of pipeline sit across a dirt road from a home in Flagstaff County, Alberta. Risks of leaks or spills is a concern for the public when debating pipeline expansions, especially when they fall so close to home. If a leak were to occur, contamination of the groundwater could lead to detrimental health impacts on the surrounding community.